Line Striping and Custom Layout Design regulates and controls traffic to facilitate the safe parking of as many vehicles as possible without bottlenecks or possibly causing accidents on your facility. 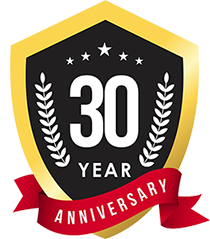 We adhere to Local, State and Federal ADA Codes to insure maximum parking stalls while maintaining safety for your clients. We stay in code compliance with properly marked parking stalls, handicapped spaces and fire lanes. Standard Service includes all areas to be striped are cleaned to industry standards before the traffic paint is applied. We only use the highest quality of Sherwin Williams products. Premier Service includes a Two Course, or equivalent, application of Traffic Paint for both appearance and much greater service life. Premier Service also includes painting all poles on the project area to a height of 4’. 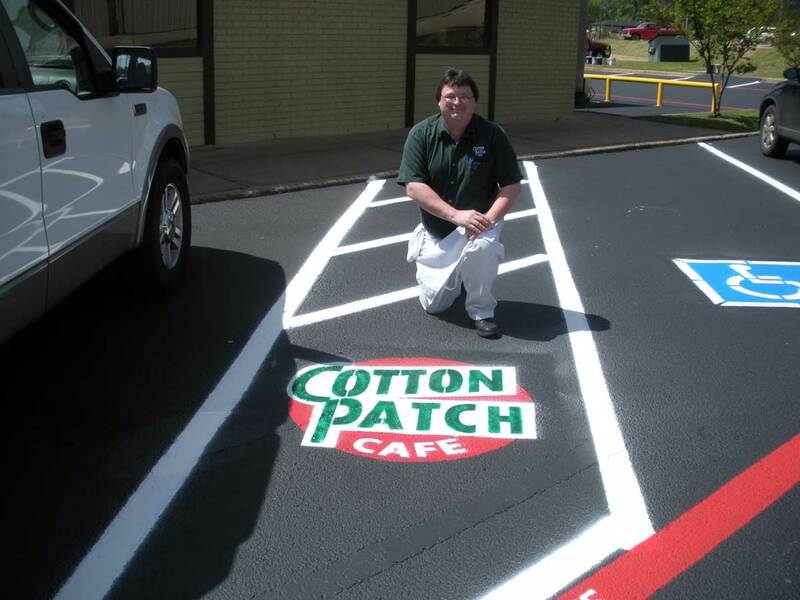 Line striping and custom layout design for Cotton Patch Café. 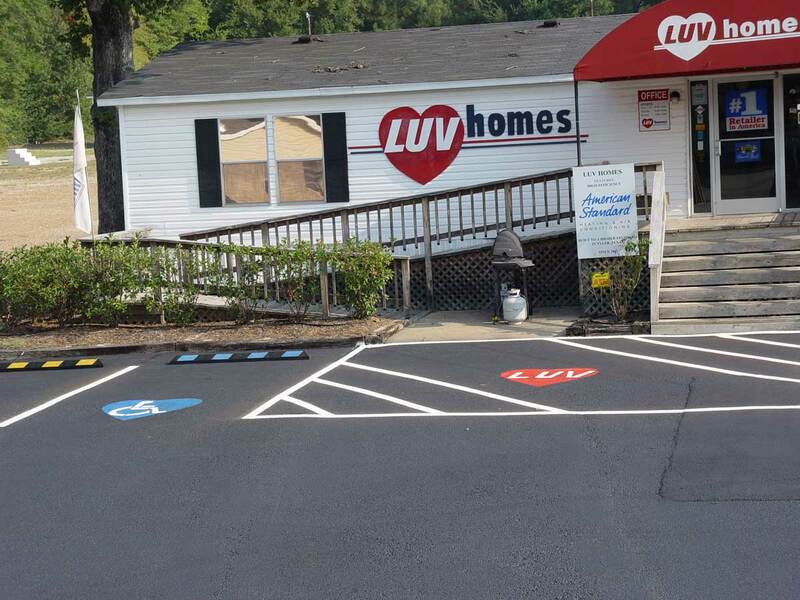 Line striping and custom layout design for LUV Homes. 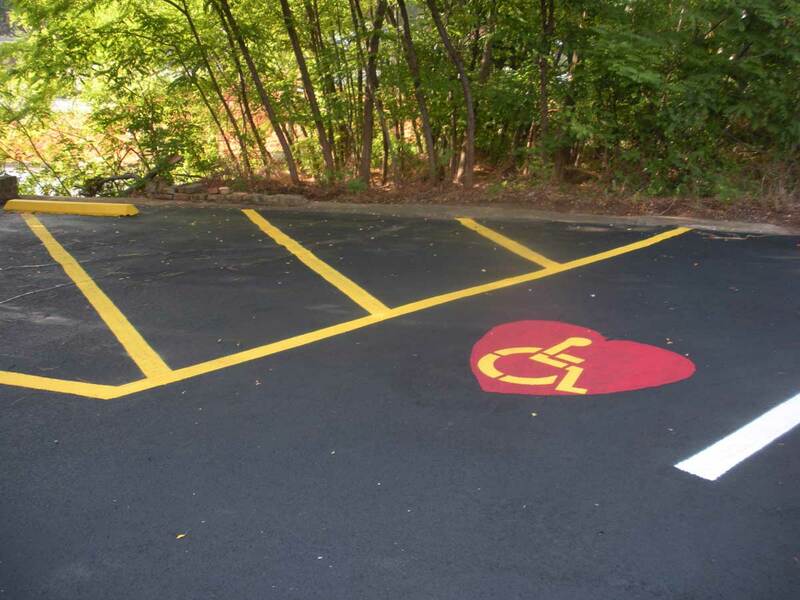 Line striping and custom layout design for heart surgeon handicap stall.